Jailbroken iPhone Stuck on Apple Logo? Solve It! 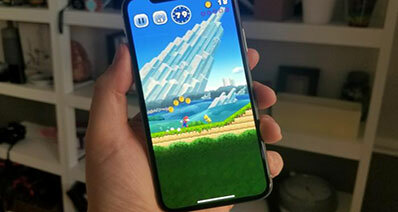 A jailbreak is the process of eliminating hardware limitations on your iOS device and performing root access so that you can be able to download themes, applications that are not available at Apple store. Therefore when you jailbreak your iPhone it will get stuck on apple logo because a file was not correctly modified. Also, it can be due to corruption of a file system or data error, or even restarting the iPhone when installing software. Is your iPhone stuck on Apple logo after jailbreak? Now let's fix it. When you are held up in a situation where you jailbroken iPhone gets stuck in the Apple logo do not tense since this problem can be fixed. Just get yourself a USB cable and a computer. To begin with you should start by rebooting your iPhone. Press the Power button and Home button at a go until the phone shuts down. Then release both buttons and hold the Power button until the Apple logo appears on the screen. This step should see your iPhone reboot although it may fail. If you are not successful then use the DFU restoring option. 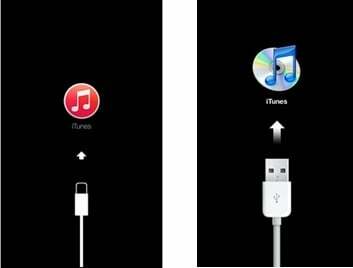 This method will help you learn that your iTunes is not just media library player but also important for fixing your iDevices. Link your iPhone to a computer using a USB cable. Ensure that you have iTunes then open it on your computer. Begin by holding the Power button for three seconds. As you continue pressing the Power button then press Home button for 10 seconds. Then start by releasing the Power button as you continue pressing Home button. There will be a notification on iTunes that it has identified a phone in a recovery mode that is DFU Mode. 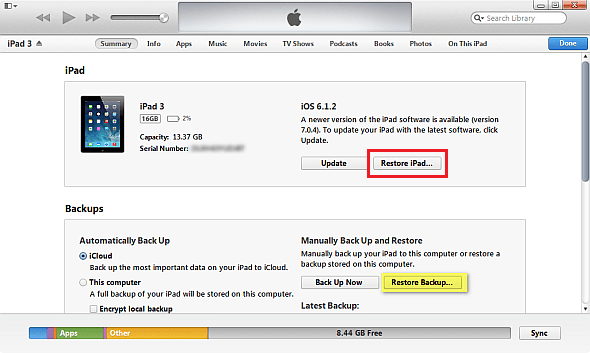 Accept by clicking OK. Then select your iPhone in the iTunes and click on Restore. These two methods will restore your phone back to normal but there is something you need to put in mind. These two methods will lead to lose of data on your iPhone. That means rebooting and using iTunes recovery mode is not secure enough. However you can still restore your iPhone and securely have your data by using iSkysoft Toolbox - iOS System Recovery. 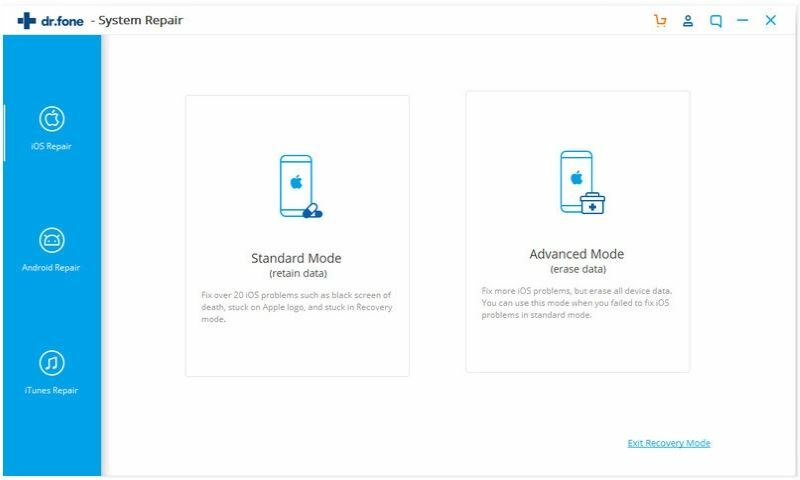 iSkysoft Toolbox - iOS System Recovery will fix your Jailbroken iPhone when the phone hangs on the Apple logo. It designed with feature that enables you repair your iOS (iOS 11 supported) operating system. 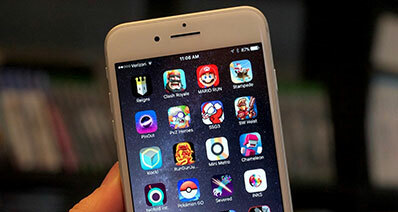 It supports the iOS device including all of the iPhone/iPad/iPod touch modes. It fix the iOS system like stuck on white/black screen, Apple logo loop, keeping restarting, etc. It fix the iOS system problems with no data loss. It's easy to use, everyone can handle it. With all the above amazing features it is also good to know how to use this software to fix your jailbroken iPhone (iPhone X and iPhone 8 Plus supported). 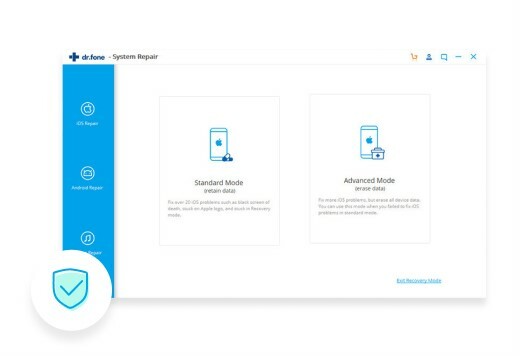 Important things to mention while restoring your phone using this program is that it will upgrade your iPhone without any occurrence of data loss but your device will restore to non-jailbroken state. When you open the program on your computer you will choose the option of task you want to perform. Click on "System Recovery" appearing at top. From there you can now connect your iPhone to the computer using a cable then click on "Start" after the device is detected. 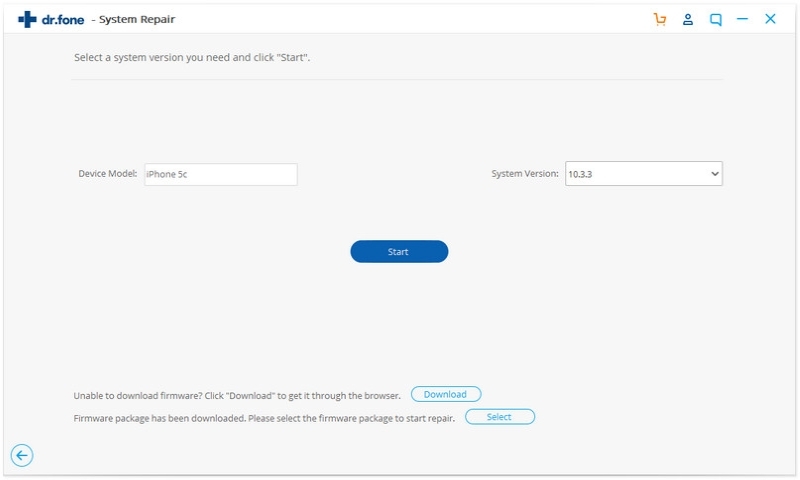 Here you are required to download iOS firmware to your computer. Do not worry iSkysoft Toolbox for iOS will give you the options to download. Confirm and click on "Download". 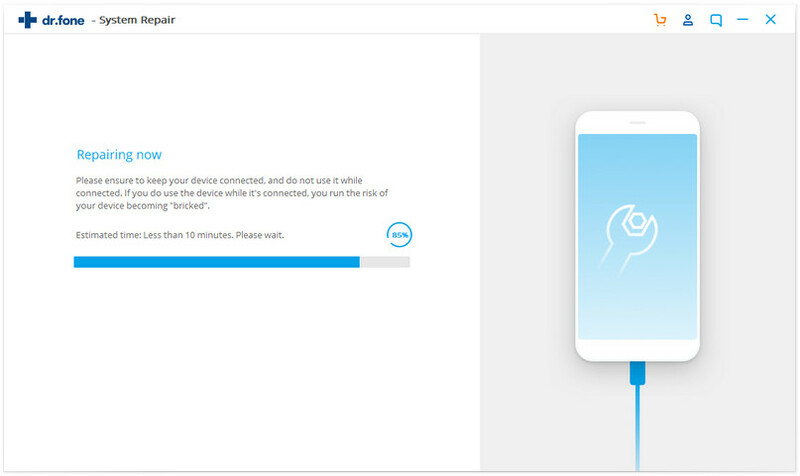 When the firmware is downloaded the computer will start fixing your iPhone. Sit back and relax as your iPhone is fixed. 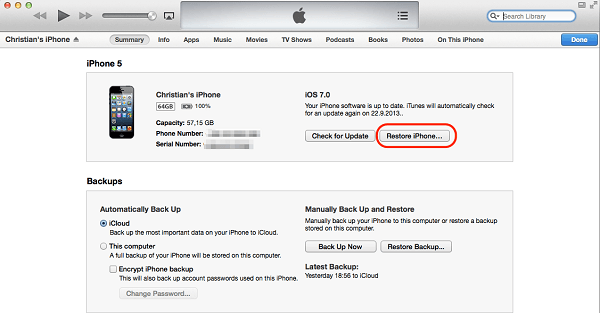 When it is done this software will notify you that your iPhone has been restored back to normal. iPhone No Service? Top 10 Solutions to Fix it!